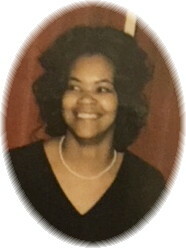 Martha Lee Reaves, the second oldest of ten children, was born on January 5, 1942 in Franklinton, North Carolina to Lee Crudup and Veatrice Hawkins Crudup Bullock. Martha left her small town and set her sights on making a different life in Atlantic City, New Jersey. Martha was a hard worker and very determined. She worked in various jobs including nursing and supervisory positions. Martha enjoyed providing comfort and peace when she worked as a nurse for fourteen years. Martha, or “Bug” as she was affectionately called by many of her relatives, knew the importance of having a personal relationship with God and found comfort in His words. She loved to have fun and enjoyed music. She was an avid gardener and prepared great food. She enjoyed fishing, bike riding and crossword puzzles. Martha had a wonderful sense of humor and enjoyed watching television, which included some of her favorite game and nature shows. Her husband, Carl Reaves, brothers, Bennie Lee Crudup and Robert Bullock and son-in-law, Odell Small all preceded her in death. Martha leaves many family members to cherish her memory including: her daughters, Celia Ann Perry (Stephone) of Franklinton, NC and Gwendolyn Denise Small of Mays Landing, NJ; her son, Kalvin Thomas Reaves of Egg Harbor Township, NJ; her grandchildren, Tenelle Edmundson (Baron) of West Orange, NJ, Stephone “Var” Perry of Franklinton, NC, Krystal Small (Rodney Crosley) of Galloway, NJ, Ivory Howard (Rick) of Mays Landing, NJ, Ebony Reaves and Emily Reaves both of Hampton, VA and Celina Perry of Franklinton, NC; great grandchildren, Brandon, Toney, Aaron, Stephone Jr., Dejah, Semaj, Jakai, Rasheen, Lyric and King; her siblings, Molly Ann Crudup, Ella Vea Pender, Gracie Brodie, James Bullock, Jr., John Henry Bullock, Joe Bullock (Alice) and Barbara Walker all of Franklinton, NC, Katie Crudup of Louisburg, NC and Betty Fowler (Johnny) of Youngsville, NC; a host of nieces, nephews, in-laws, other relatives and friends. Martha transitioned peacefully after suffering many health ailments over the years. She was a fighter and showed enduring strength. Martha strived to create a foundation for herself and to leave a legacy for her family. She leaves us a wealth of memories and unforgettable experiences to inherit her riches in the Kingdom of Heaven.